While the concept is based on the Super Sentai series of yearly serials, it is not an English dub of the original, but rather a 'new' production with English-speaking actors spliced in with the original Japanese footage to varying ratios. Due to the very Japanese nature of many of Sentai's stories and design, the American shows are always at least slightly changed to fit a Western audience. 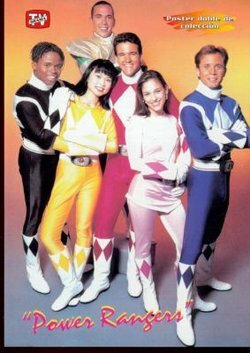 Power Rangers was distributed by Saban Entertainment from 1993 until the end of 2001 and was broadcast on the Fox network. Power Rangers was officially purchased by Disney in 2001. The show continued to air on the Fox Network until Fox Kids was dismantled in 2002, and has since aired on various Disney-owned stations. Each of the Power Rangers seasons, or "generations", centers around a group of people, often teenagers (age of actors actually varies from 18 to 23 years old), that gain super powers to fight the henchmen of various villains, ranging from demons to witches to aliens. 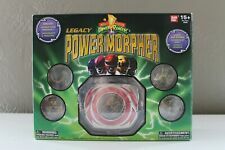 To activate these powers, these characters, known in general as the Power Rangers, morph by performing a standard action and reciting a morphing call. 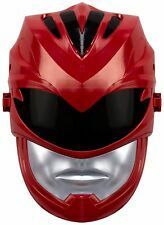 Throughout the series, the Power Rangers learn the importance of teamwork and perseverance as they battle progressively harder-to-defeat villains. Like its Super Sentai counterpart, from which part of an episode's action footage is taken, a monster is unleashed on the Power Rangers and it is usually up to them to destroy the monster. Often, before a monster is defeated, a monster will grow into gigantic proportions, forcing the Power Rangers to use gigantic (bio)mechanical machines known as Zords. In many cases, these Zords can be combined to form a more advanced (and humanlike) machine, known as a Megazord. In many series, because of the way Zords are combined, the Power Rangers may also use interchangeable parts to enhance their fighting power, or combine Megazords together to form larger Megazords. Some seasons feature extremely large combinations of Zords known as Ultrazords. What is a Power Ranger? A Power Ranger is a human or humanoid person who "morphs" from a natural, unpowered form into a superhuman warrior clad in a full-body, form-fitting costume that acts as armor (irreverently and incorrectly called spandex), as well as a very durable helmet with an opaque visor, which in many cases serves to protect his or her identity. 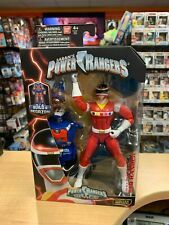 A morphed Ranger generally possesses superhuman strength, durability, and hand-to-hand combat ability; unmorphed Rangers may possess other innate abilities (such as telepathy, superspeed, invisibility, etc.) which are usually not directly related to his or her Ranger powers. Rangers appear to retain their original physiology beneath their suits when in morphed form, as Rangers' helmets have been seen removed or broken on numerous occasions, revealing his or her natural form underneath; helmets aside, the suits are donned and removed nearly instantaneously with a glow of light or some other effect. Rangers are known to "demorph" involuntarily due to some magical effects or powerful physical attacks, with potentially life-threatening injury to the Ranger's natural body. Prices current as of last update, 04/17/19 11:14pm.